Simply Noted packages are the perfect sweet spot between a full service Custom Design and a DIY package! These a la cart options are great when you want the signature style and quality of A Floral Note but also want to keep your flower budget trim. 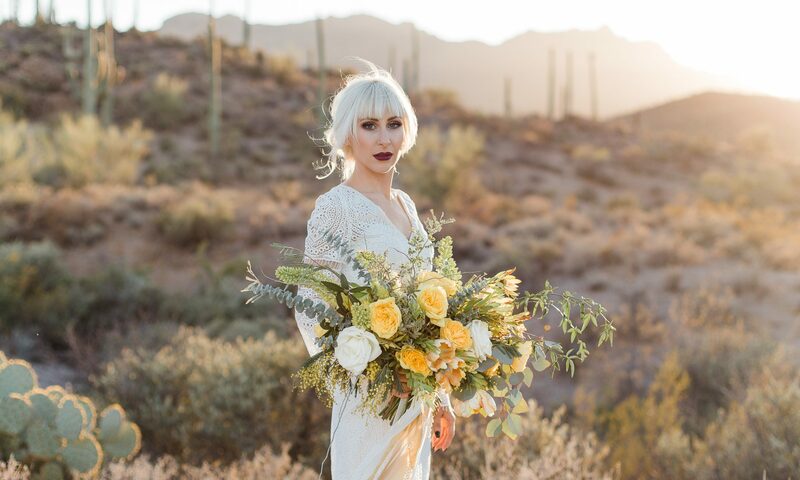 Flowers are fresh, uniquely designed, and ready to make your big day beautiful! This option includes personal pieces only (bouquets, boutonnieres, corsages, and flower crowns) and is for studio pick-up only. A base Simply Noted package start at $500 and includes 1 bridal bouquet, 1 magnetic boutonniere, and 3 bridesmaid posies. Additional bouquets, boutonnieres, cuff-style corsages, flower crowns and flower girl petals can all be added based on your flower design needs. Packages start with a base color of white or blush, but can adjust to fit your style and wedding design. There are also options to incorporate air plants, succulents, and streaming ribbons to your bouquets, just like with Custom Design. Andi customized her Simply Noted bouquets with locally grown cotton and succulents and added a bow from her mother’s bridal gown. Ceremony and reception pieces not available for this service – see Custom Floral Design for more info! Want to learn more? Send me an email and we can talk about the details to see if a Simply Noted package would be a good fit for you!